When it comes to landscaping and the beautification of your yard, most people think of flower gardens, trimmed hedges, green grass and spacious patios and decks. However, adding that extra special touch can really bring the overall look of your yard to the next level, and one of the best ways to accomplish this is by using custom designed masonry. Whether you opt for a stone wall, a brick wall or another specially designed form of masonry, you’re sure to be amazed by what a little bit of mortar and creativity can do. Spending time in your backyard should be a pleasant and comfortable experience. By creating an overall ambiance in your backyard design, you can in some cases double the space you have available for entertainment and relaxation. Making this happen is much easier when you put a team of skilled masons to work for you on a custom designed project. Imagine dreaming up the design of your very own fire pit or stone wall, and watching it become a reality before your very eyes. 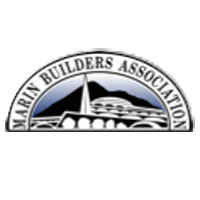 If you are in Marin County, Sonoma County or in the general San Francisco area, Van Midde and Son Concrete can help provide you with the most stunning and aesthetically pleasing masonry imaginable. At Van Midde and Son Concrete, we understand that for most homeowners, outdoor landscaping is a true extension of their personal taste and style. We use this understanding to help turn regular stone, brick, mortar and concrete into the stuff of magic. Considering the amount of time and care you put into maintaining the overall appearance of your home’s landscaping, it is only natural that you should wish to outfit it with personalized touches that transform it from ordinary to out of this world. By adding the special touch of customized masonry to your backyard or other outdoor area, the value of your home is sure to rise significantly. Investments in home improvement projects truly don’t get much better than the durability and style of custom masonry. At Van Midde and Son Concrete, bricks and mortar may be our canvas, but customers are the beating heart of our operation. No matter how large in scale or small in scope a project may be, we treat each one like it was our very first, and every customer like a member of our own family. You will get exactly what you are looking for when you hire us, and more – guaranteed. 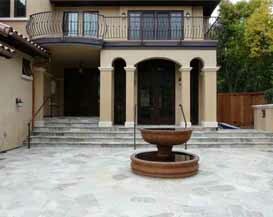 Located in San Rafael, Van Midde and Son Concrete installs brick stone and slate in Marin County, Sonoma County and throughout the San Francisco Bay Area.